Although mammography equipment is required by international standards to measure and display the force applied by the paddle to the breast, these scientists have argued that a far more relevant parameter is pressure: the force divided by the area of contact between the paddle and the breast. As a result they have developed an instrumented compression paddle that enables the contact area to be measured. 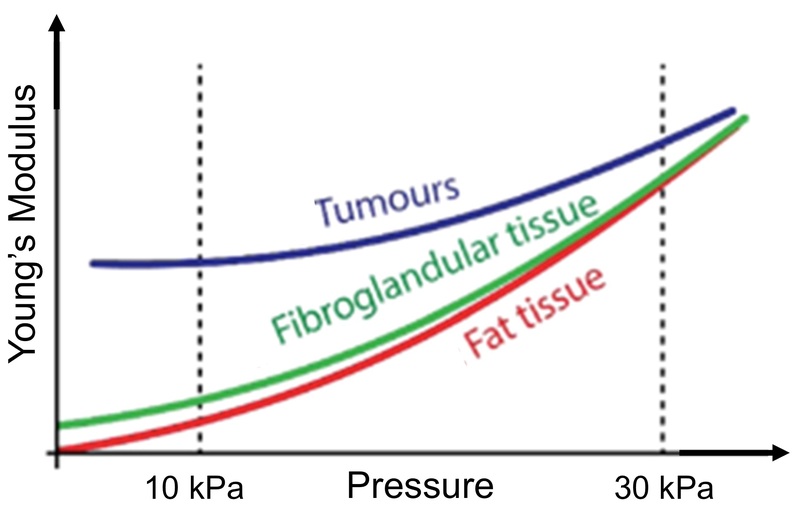 The breast consists of various tissues – adipose, fibrous and glandular – and an important parameter is Young’s modulus, the ratio of the pressure (stress) and the deformation (strain), that measures the breast’s material properties (see diagram below left, © DI Europe). It turns out there is an optimum pressure that should be applied by the paddle to the breast – 10 kPa – which means that women with small breasts should receive a lower force of 50 N compared to women with large breasts (180 N). Interestingly, this pressure is equivalent to 75 mmHg which is approximately equal to the diastolic blood pressure. When an instrumented paddle was not used, women were 30 times more likely to experience a paddle compression of greater than 20 kPa – double the recommended pressure. Young’s modulus is a measure of material stiffness and this is important because the stiffening of breast tissue correlates with pathology. According to the authors: “In mammography of the compressed breast, differences in elasticity are sometimes the only indications of malignancy, for example in the more diffusely growing invasive lobular carcinomas.” In fact, as paddle pressure increases, the Young’s modulus of fibroglandular, fat and tumour tissue converge (seen at right, © DI Europe), suggesting that the cancer may be more difficult to detect if the pressure is too high. What’s the take-home message? 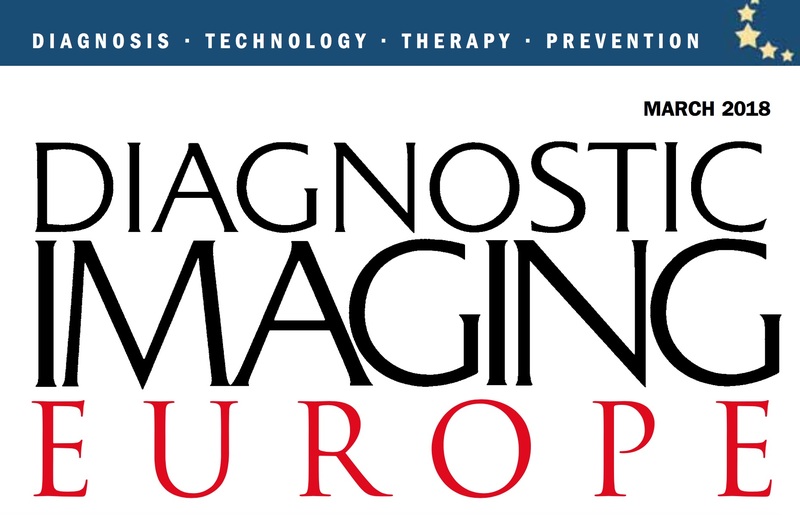 Professors den Heeten and Grimbergen believe: first, all mammography equipment should be equipped with an instrumented compression paddle so that radiographers can apply a pressure of 10 kPa; and second, current guidelines for breast screening have to be revised. Always look under the stones around you – basic, albeit uncomfortable physics, may have some revelations in store.